Art by Vernon Green from the story “I Ran from Love” in New Romances #11, May 1952. WOMAN: Men are simple! I always understand ’em perfectly…’til I marry ‘em! WOMAN: Men are simple! I always understand ’em perfectly...’til I marry ‘em! 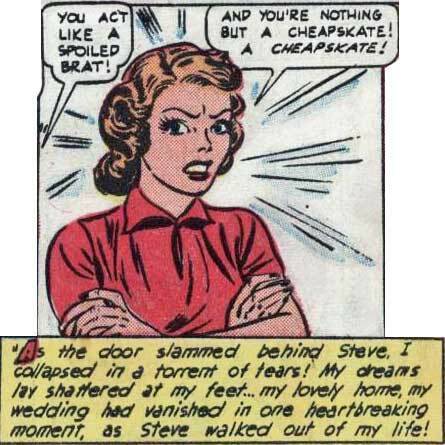 Art by Vernon Green from the story "I Ran from Love" in New Romances #11, May 1952.